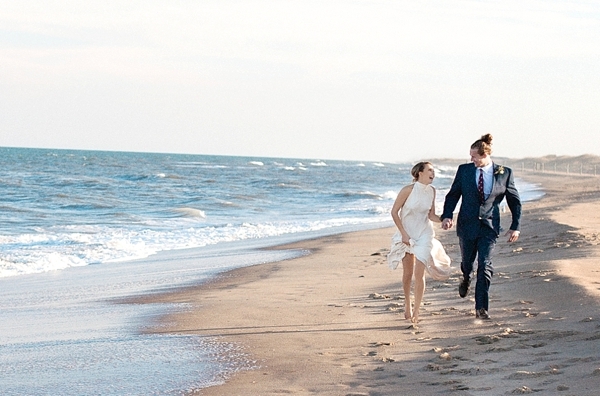 "Like a lazy ocean hugs the shore, hold me close, sway me more..."
Along the sand dunes of Sandbridge, an isolated stretch of beach nestled between Back Bay Wildlife Refuge and Pungo, is every local's favorite when it comes to a quieter beach in the on and the off season, making it the perfect location when it comes to local elopements. 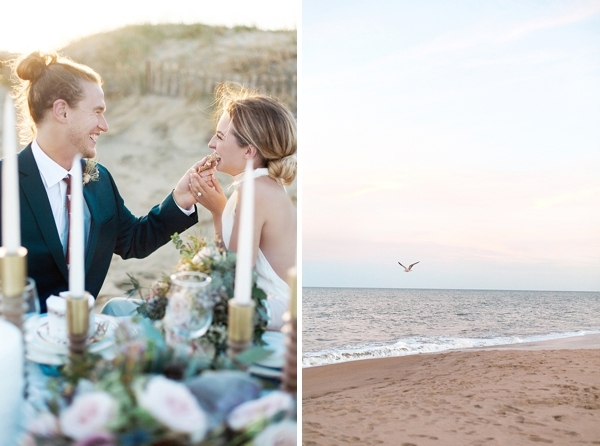 With our area being Virginia's #1 beach destination, styled elopements are becoming ever-increasingly popular with today's creative modern day couple. 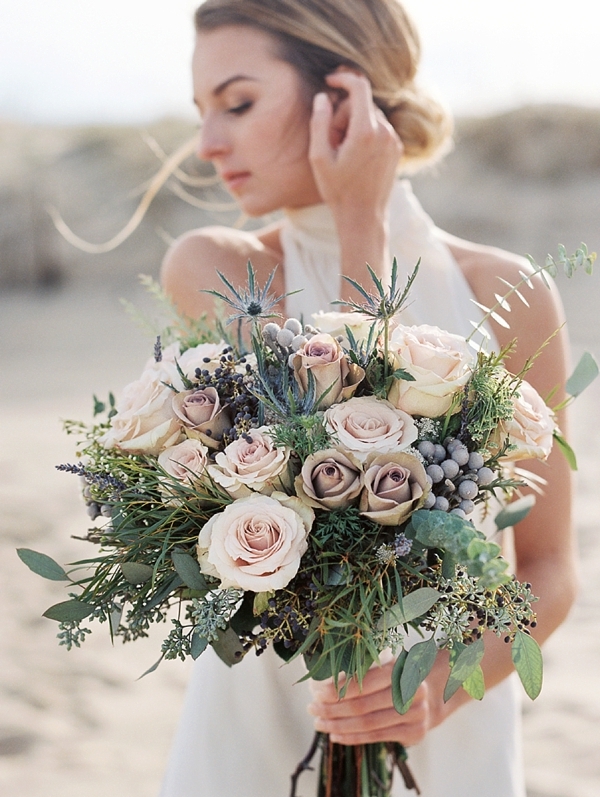 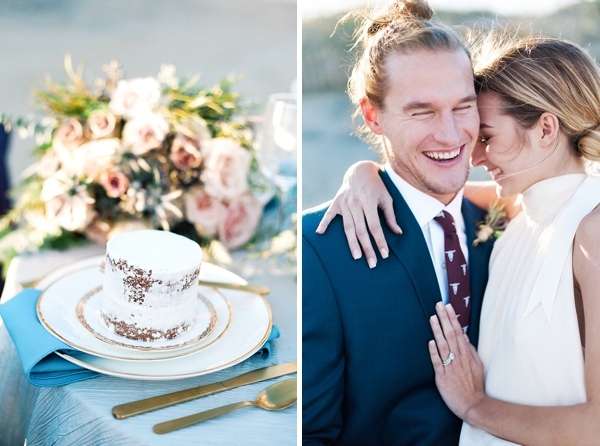 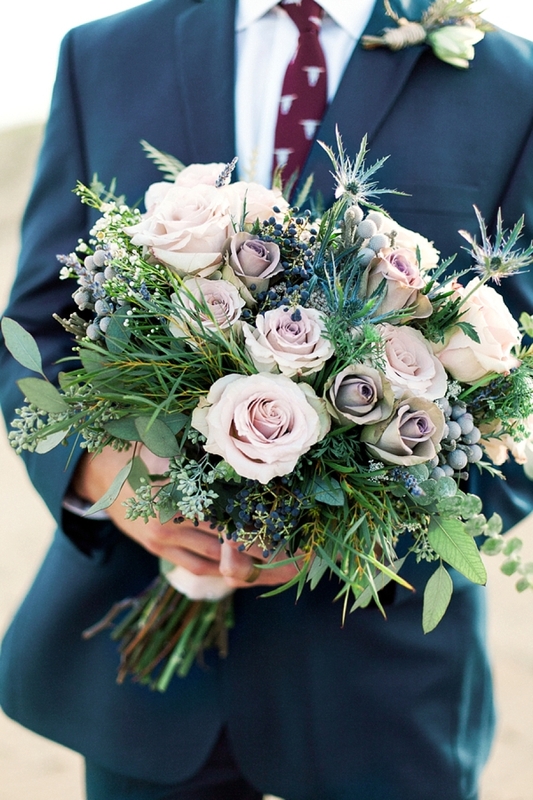 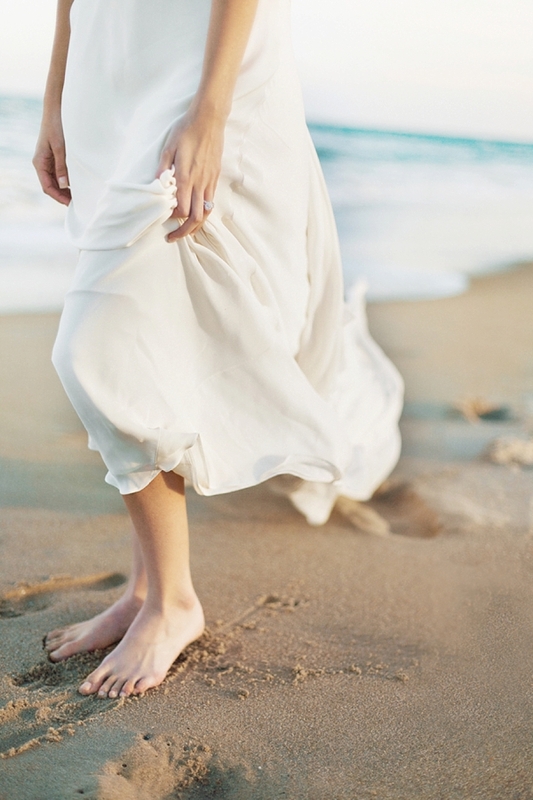 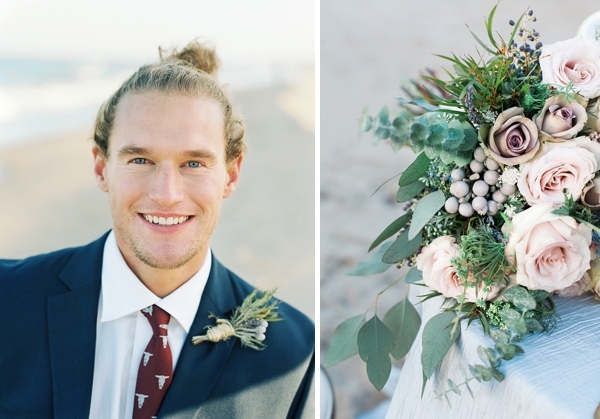 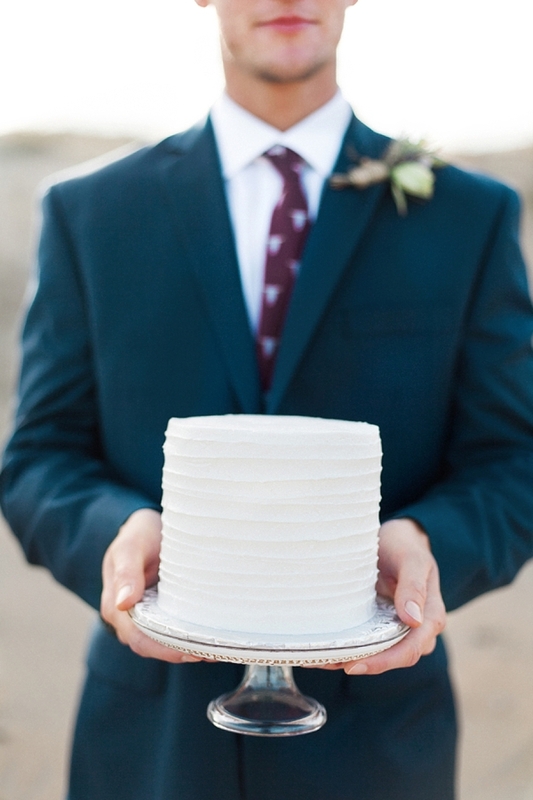 Inspired by the concept of "shipwrecked love," gorgeous simplicity never looked so good in this elopement inspiration shoot from Robyn Middleton Photography and Elopement Guild. 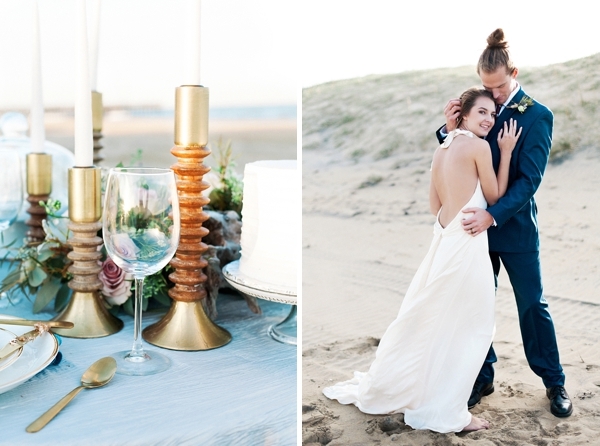 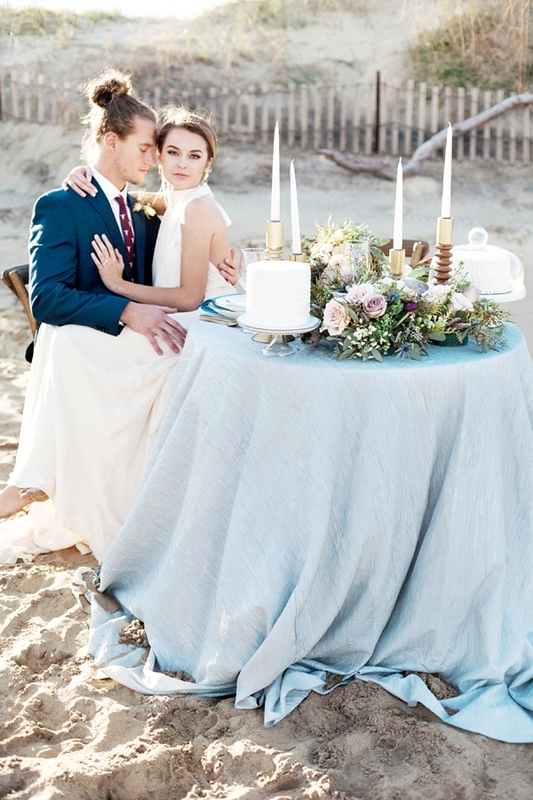 With natural elements like wooden candlestick holders and a color palette of neutrals and ocean blues, everything paired perfectly with the bride's loosely tied halter wedding gown with a deep low back and flowy chiffon skirt -- the quintessential beach wardrobe for a bride looking for the ultimate romantic look when she says her vows. 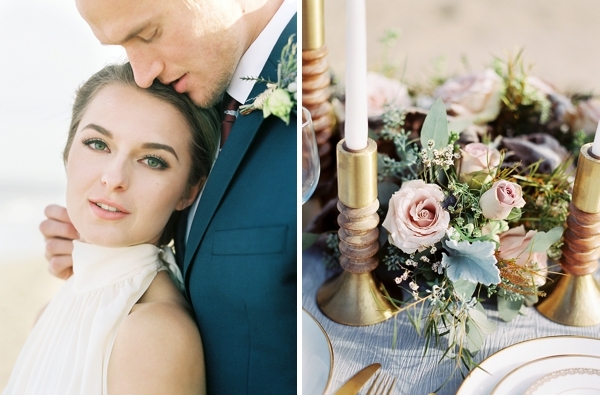 It doesn't take much to personalize a sweet vignette when you have richly textured florals comprised of roses, blue thistle, silver brunia, and other lush greenery, simply textured mini white cakes, gold flatware, and wooden X-back chairs. 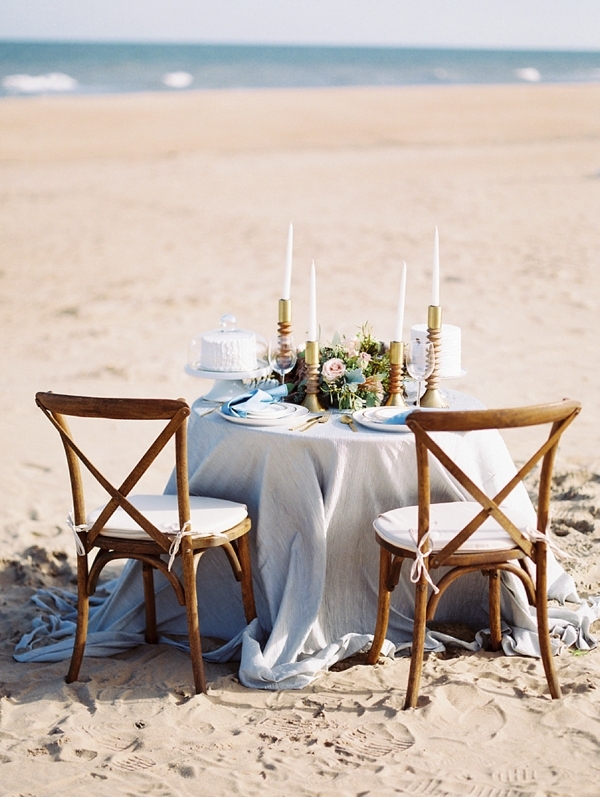 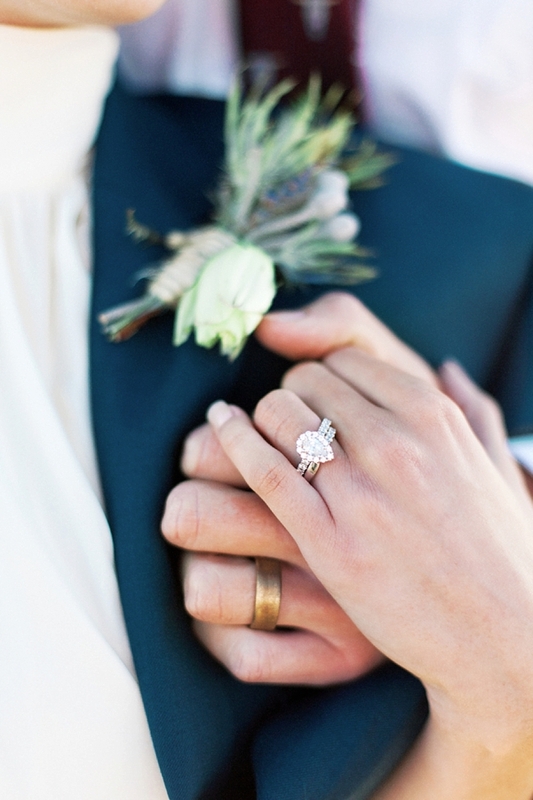 It was the paradisal scene for an intimate celebration for two and inspiration for others also dreaming of eloping on the beach.